Thousands of bikers and motorcycle enthusiasts helped kick-off the year long 110th Anniversary party at Milwaukee’s H-D Museum. 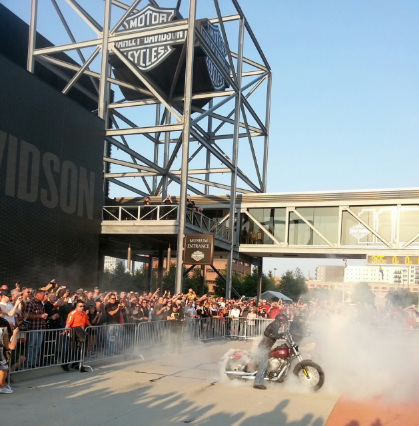 Milwaukee, WI – On Thursday, officials for the Milwaukee Harley-Davidson Corporation at 6:19 p.m. officially kicked-off their year long celebration for their 110th Anniversary with a motorcyle burnout and staring the H-D clock count down. The burnout spelled #HD 110 on the pavement grounds between the museum and The Shop. The kick-off party is part of the yearly Milwaukee Bike Rally events, which most area Harley dealers participate and provide their own celebration at their local with bands, food, vendors and a preview of the upcoming 2013 anniversary models at the dealerships. The Milwaukee weekend bike rally ends on Sunday. San Joaquin County judge grants TRO hearing to decide whether to force ACE Tomato to comply with the law and implement a worker’s contract. Manteca, CA – On Monday, a San Joaquin County judge scheduled a hearing for September 13, to determined whether she will issue a Temporary Restraining Order (TRO) to force ACE Tomato Co., Inc. to comply with the law and implement a worker’s contract. ACE filed an appeal on August 23, in a Fresno court of appeals to keep the Agricultural Labor Relations Board’s (ALRB) mediator worker’s contract from being implemented while they appeal. The ACE appeal could take years to be decided. After 23 years since the ACE worker’s had voted for a United Farm Workers Union (UFW) and ACE failing to recognize the union, including their failure to agree on a contract, a ALRB neutral mediator finally submitted a report on June 28, that contained terms for a new contract for the farm workers. On July 25, the ALRB ordered ACE Tomato to implement the contract, a UFW press release reported on Wednesday. ACE failed to comply with the ALRB order and the ALRB General Counsel then filed for a TRO to force ACE to implement the worker’s contract immediately. ACE Tomato was established in 1968, which grows and packs a variety of field grown products. ACE is part of the Lagorio Family of Companies from California, according to its website. Judge imposes a fine and no jail time after 20-year-old runaway juror returned from Mexico after skipping trial deliberations in mid August. Milwaukee, WI – On Tuesday, Ivana Samardzic, 20, of Greenfield or better known as the “Runaway Juror” was fined $300 for skipping the end of deliberations for a felony trial and leaving 11 jurors to decide the fate of a felon on trial for possessing a weapon and reckless endangerment. Samardzic left to Cancun, Mexico on August 16 for vacation after spending three days as juror number 4 in the trial. She returned on Monday to face Milwaukee County Circuit Court Judge J.D. Watts who imposed the fine, but no jail time. She admitted to Judge Watts, that she did wrong by leaving and was ready to face jail time or a fine. Samardzic attempted to excuse herself by saying English was her second language and didn’t understand the rules of being a juror. Samardzic apparently on August 16, called the Milwaukee County court clerk from the O’Hare International Airport in Illinois and reported that she was leaving to Mexico and had already submitted her vote to the jury foreman. It’s the first time a juror has ever skipped a deliberation in Milwaukee County. Judge Watts voided her jury vote and the 11 jurors continued in their deliberations after the defense attorney for the defendant agreed to proceed. The jury on a vote of 8-3 found him guilty for being a felon in possession of a weapon, but failed to reach a verdict for first-degree reckless use of a dangerous weapon against the defendant, resulting in a mistrial, according to court records. The dilemma for some undocumented veterans and their families lingers as many continue to be deported by the current Obama administration despite proudly serving in the armed services and putting their lives on the frontline to protect America’s freedom and the Constitution of the U.S.
Milwaukee, WI – On Saturday, Mexican Fiesta organizers and local Hispanic heritage veterans made history by recognizing and honoring Latinos/as, including all the men and women who have served in U.S. Wars, conflicts and those who are still serving in the armed services. Also, three Silver Star Medal recipients from the Milwaukee area were honored during the weekend Mexican Fiesta. Two of the Silver Star Medal recipients has since passed away, they are Fidensio S. Prado (U.S. Army) and Mario R. Leon (U.S. Marine: medal for gallantry in action was awarded on March 29, 1969). The only local surviving Silver Star Medal recipient George F. Banda (U.S. ARMY: medal for gallantry in action was awarded on July 9, 1970) and current Commander of the G.I. Forum hosted the special event at the Cultural Pavilion. Banda was awarded the Silver Star Medal for Gallantry in Action, Bronze Star Medal for Heroism in Ground Combat, Bronze Star for Meritorious Service, Purple Heart Medal, Air Medal, Army Commendation Medal, Good Conduct Medal, Vietnam Service Medal, National Defense Service Medal, Vietnam Campaign Medal, and the RVN Cross of Gallantry with Bronze Palm. Veterans in the U.S. includes those few undocumented veterans who have also served, but in prior presidential administrations and during the Obama administration have been deported and continue to be deported today. Deporting veterans is an issue that both President Barack H. Obama (Dem.) and the current GOP nominee for president, Governor Mitt Romney have avoided during their campaign trail. 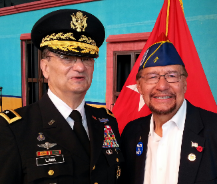 But on Saturday at Mexican Fiesta, retired U.S. Army Major General Paul Lima, who was the Guest of Honor best described the contributions that Hispanic heritage veterans have accomplished to preserve America’s freedom and the U.S. Constitution. In brief, retired Major General Lima stated, “In every war and on every battlefield, Americans from Spain, Mexico, the Caribbean, Central and South America have risked their lives in the defense of the United States. During the Revolutionary War, the Continental Army received significant assistance from COL Bernardo de Galvez, the Commander of the Spanish Regiment in Louisiana. Don Bernardo closed the port of New Orleans to the British Navy, led Spanish forces against the British and defeated them in Baton Rouge and other cities along the Mississippi River. De Galvez provided cattle and horses from the Spanish herds in Texas and provided funds and weapons to the Continental Army. Latinos played an important role during the War of 1812. In the most famous battle of that war, Gen. Andrew Jackson’s defense of New Orleans, Latinos from Louisiana helped repel a massive British invasion, a major turning point which led the United States to victory. “When the Civil War erupted in 1861, the allegiance of the 27,000+ Mexican-Americans living in the U.S., particularly those in Texas, was deeply divided. Initially, some 2,500 joined the Confederacy, while another 950 joined the Union Army. Some 10,000 Mexican-Americans would serve on both sides before the Civil War had ended. COL Miguel Pino commanded a Union Regiment which was responsible for defeating the Confederate invasion of New Mexico. MAJ Salvador Vallejo was a battalion commander in the California militia – a unit which guarded supply trains and fought marauding bands of Confederate raiders in Arizona and California. Mexican-Americans were well represented in Confederate units. COL Santos Benavides, commander of the 33rd Texas Cavalry Regiment, was the highest ranking Latino in the Confederate Army. Large numbers of Mexican-Americans served in other regiments, the 10th Texas Cavalry, 55th Alabama, 6th Missouri and the 1st Florida Cavalry. Union Admiral David Farragut was the highest ranking and most famous Hispanic of the Civil War. 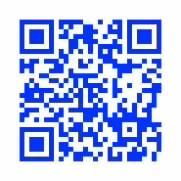 His father, a Spaniard, fought for his adopted country in both the American Revolution and the War of 1812. During the Civil War, President Abraham Lincoln established the Medal of Honor as the nation’s highest military award given for valor. Two Hispanic Americans, both in the Union Navy, were recipients of the Medal of Honor during the Civil War. “Several thousand Mexican-Americans from Arizona, New Mexico, Oklahoma and the Indian Territories served during the Spanish-American War. Both the 1st Volunteer Cavalry under COL Leonard Wood and the famous “Rough Riders” of LTC Theodore Roosevelt had a number of Latino officers and troopers. Mexican-Americans continued to serve with distinction after the Spanish American War. A Latino, Marine PVT France Silva, won the Medal of Honor during the 1900 Boxer Rebellion in China. “Almost 200,000 Hispanics, mostly Mexican-Americans, were mobilized for World War I. America’s participation in the war lasted from April 1917 to November 1918. As a result of its short duration, many soldiers did not have the opportunity to go overseas and into combat. But, one Hispanic won the Medal of Honor for his courageous actions in France. In 1917, just before America entered the war, Puerto Ricans were granted US citizenship. They then became subject for the draft, 18,000 would serve in the Armed Forces during World War I. “In 1940, before America’s entry into World War II, two National Guard Battalions from New Mexico – comprised primarily of Mexican-Americans – were activated and deployed to the Philippines. Within days after Pearl Harbor, Japanese forces attacked American positions in the Philippines. Gen. Douglas MacArthur made a heroic three-month stand, but his force was force to surrender. Those soldiers included those from New Mexico who had to endure the 12-day, 85 mile “death march” from Bataan to the prison camps, followed by 34 months of captivity. About 500,000 individuals of Hispanic and Latino heritage served during World War II. Most were Mexican-Americans. In the Pacific Theater, the 158th Regimental Combat Team – the Bushmasters – from the Arizona National Guard, filled with a large number of Mexican-Americans, saw heavy combat. They earned the respect of GEN MacArthur who referred to them as “the greatest fighting combat team ever deployed for battle.” The 141st Regiment of the 36th Texas Infantry Division, made up almost entirely of Mexican-Americans, distinguished itself in Italy and France. In recognition of their valor, the members of the 141st received 31 Distinguished Service Crosses and 494 Silver Stars. More than 65,000 Puerto Ricans served in the Armed Forces during World War II. Most were deployed overseas to both the Pacific and European Theaters. Hispanic soldiers were awarded 12 Medals of Honor during World War II. “In 1950, the United States found itself again at war on the Korean Peninsula. Almost 150,000 Hispanic and Latino soldiers would serve there – 30% would come from Puerto Rico, primarily serving in the 65th Infantry Regiment. This unit was highly decorated with 9 Distinguished Service Crosses and 250 Silver Stars. A total of Nine Hispanic Americans, including one Puerto Rican, were Medal of Honor recipients during the three-year conflict in Korea. “During the Vietnam Conflict, approximately 80,000 Hispanic Americans served in the Armed Forces. Roy Benavidez, a Mexican-American Special Forces Master Sergeant and a Medal of Honor recipient, is among the most celebrated Latinos of Vietnam. Another Latino, Alfred Rascon, received the Medal of Honor for his heroic actions as a medic with the 173rd Airborne. Thirteen (13) Hispanic soldiers, including 3 Puerto Ricans, were awarded the Medal of Honor in Vietnam. “Hispanics have continued to serve during the Cold War, Operation Desert Storm, Bosnia and the Global War on Terrorism. By November of 2000, Hispanic representation had climbed to 11% of the total Armed Forces. The Marine Corps has 14% of its strength from Hispanic and Latino recruits. Over the years, Hispanics have risen to the top ranks of the military profession. In 1964, Admiral Horacio Rivero, a Puerto Rican, became the Navy’s first Hispanic four-star admiral. In 1982, Gen. Ricard Cavazos, a Mexican-American, became the Army’s first Hispanic four-star general. In 1998, Luis Caldera, a Mexican-American and West Point graduate, became the highest-ranking Latino to hold office in America when he became the Secretary of the Army. Today, GEN David Rodriguez, a Mexican-American and a genuine war hero from the Global War on Terrorism, commands all Army Forces in the Continental U.S.
“In conclusion, I would ask that each and every one of you here today continue to support and respect the members of the Armed Forces serving today – who represent less than 1% of our population, but are carrying the burden of our defense on their shoulders – they are all volunteers – most are members of the 9/11 generation, who grew up in the memory of that “day of infamy” – all are dedicated to something greater than themselves – your freedom. May GOD bless our Soldiers, Sailors, Marines, Airmen and Coast Guardsmen, their families, our Veterans and their families, our elected leaders, and the United States of America,” said retired U.S. Army Major General Lima, during the Latino Veterans Recognition Ceremony at Milwaukee’s Mexican Fiesta. Today, Hispanics make about 5.3 percent of the U.S. population and have become the fastest-growing population to enlist in the armed forces. (L-R) Retired U.S. Army Major General Paul Lima and George F. Banda. Driver of a vehicle flees from crash and ends up at a local south side restaurant. Milwaukee, WI – On early Sunday, the suspected male driver who fled the scene after being involved in a two vehicle crash at the 2500 block of W. National Ave. before 1:15 a.m. was located by police in a local restaurant bleeding from the back of the head. The other vehicle was totaled and the woman driver was not injured. A witness told police that two males from a Blazer got out of the vehicle inspected the damage and one of the men exchanged words with the woman involved. Then, they went back into their Blazer and left the scene. The suspects were later located at a restaurant at the 1000 block of S. Cesar E. Chavez Dr. and the blazer was left in the adjacent parking lot, just north of the restaurant. The injured suspect in the hit-and-run was taken to a nearby hospital for a head injury. 12 Mexican federal officers detained after targetting and shooting up U.S. Embassy SUV. two employees from the U.S. Embassy in Mexico City being shot multiple times during a vehicle chase. The two workers and a Mexican Navy captain were traveling in a black Toyota SUV type of vehicle with diplomatic plates on the Mexico City and Cuernavaca highway when federal police attempted to stop the vehicle. The driver noticed the armed men (federal police) brandishing weapons while following them and decided not to stop. A chased by federal police in four vehicles pursued the U.S. workers near Cuernavaca before 8:35 a.m. on Friday and fired more than 40 shots from multiple 762 Cal. 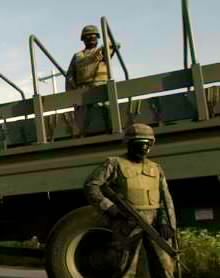 weapons at the right side of the diplomatic vehicle. The SUV was bullet prove. The two Americans were injured, one was injured in the leg and the other in the abdomen and hand. They were taken to a hospital in Cuernavaca. They were later moved to a hospital in Mexico City and are recovering. The navy captain was not injured, but managed to contact the naval dispatch nearby and Marines, including other federal police were sent to the scene. They detained at least 12 Mexican federal officers believed to have been involved in the shooting incident. Federal police thought they were kidnappers and members of a criminal organization. The U.S. government has not released a statement other that the American employees from the U.S. Embassy had been ambused by armed men. Injured U.S. Embassy workers recovering from gunfire at a hospital in Cuernavaca. Cuernavaca, Morelos, Mexico – On Friday, two employees from the U.S. Embassy in Mexico City were reported injured after being shot multiple times by Mexican federal police during a vehicle chase. The workers were traveling in a black Toyota SUV type of vehicle with diplomatic plates on the Mexico City and Cuernavaca highway when federal police attempted to stop the vehicle. The driver noticed the armed men (federal police) and failed to stop. A chased by federal police and three other vehicles pursued the U.S. workers near Cuernavaca before 8:35 a.m. and fired more than 40 shots from 762 Cal. weapons at the right side of the diplomatic vehicle. The two Americans were injured and then taken to a hospital in Cuernavaca and are recovering.